A combination of the skin toning enhancing benefits of Kojic Acid, Arbutin and Bearberry with Silymarin, Emblicia, Absorbic Acid and Green Tea Polyphenols to soothe and calm the skin. This product is Alcohol and Acetone free. 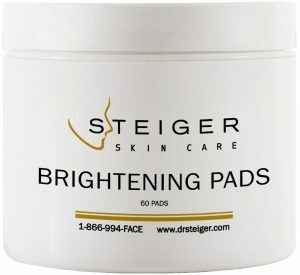 Recommended for all skin types to assist with diminishing of hyperpigmentation, malesma and the brightening of skin tone. A combination of the skin toning enhancing benefits of Kojic Acid, Arbutin and Bearberry with Silymarin, Emblica, Ascorbic Acid and Green Tea Polyphenols to soothe and calm the skin. This product is Alcohol and Acetone free. Recommended for all skin types to assist with diminishing of hyperpigmentation, melasma and the brightening of skin tone.